Baked champignon mushroom caps stuffed with mozzarella and pesto, served with focaccia bread or salad. Crispy romaine lettuce, tomatoes, olives, croutons, and lots of Parmesan. Smoked salmon on a bed of lettuce, red onions, snow pea shoots, tomatoes and capers. Lettuce, tomatoes, red onions, cucumbers and olives. Topped with feta cheese and zesty lemon dressing. Comes fully loaded with tomatoes, onions, mushrooms, assorted sweet peppers, olives and snow pea shoots. Fluffy and crunchy onion rings. Spicy matchstick fries with deep fried breaded Jalapeños. Fries + Onion Rngs + Volcano Fry. Simple is sometimes all you need! All the deliciousness of the Maryjane – with bacon! Tomatoes, green peppers, zucchini, eggplant, black olives and extra garlic. Succulent chicken and good old-fashioned American BBQ sauce with onions. Y’all enjoy now, you hear. Loads of bacon, topped with spiced, marinated beef, green peppers and onions. California artichokes with black olives, tomatoes and fresh basil - for that Mediterranean touch. Our house pesto with succulent baked chicken breast. Anchovies with black olives, capers, artichokes and generous slices of roman tomatoes. An offer you can’t refuse. 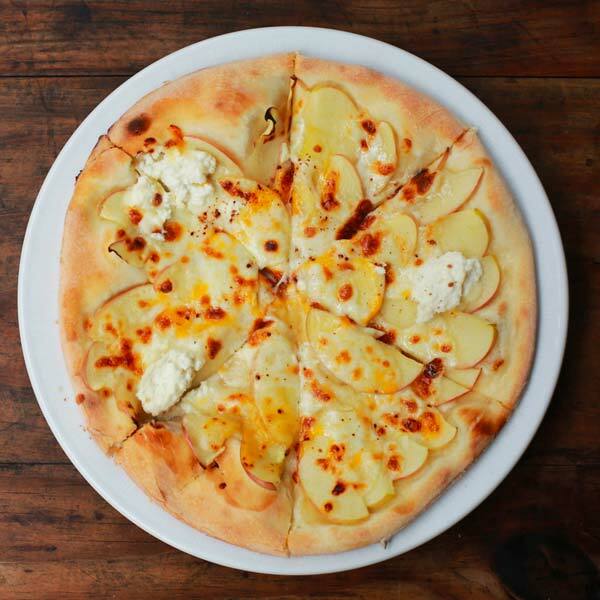 Parmesan, blue cheese, ricotta and mozzarella. Pepperoni, made twice as nice with the spice of jalapeños. An American clasic, Pepperoni, mushrooms, green peppers. Barbequed beef, with sesame seeds and sliced garlic. Marinated lamb in Moroccan spices, topped off with cilantro and onions. 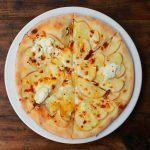 Baked chicken breast and thinly sliced potato, seasoned with rosemary, made perfect with rich ricotta cream sauce. Smoked salmon paired with onions and capers. 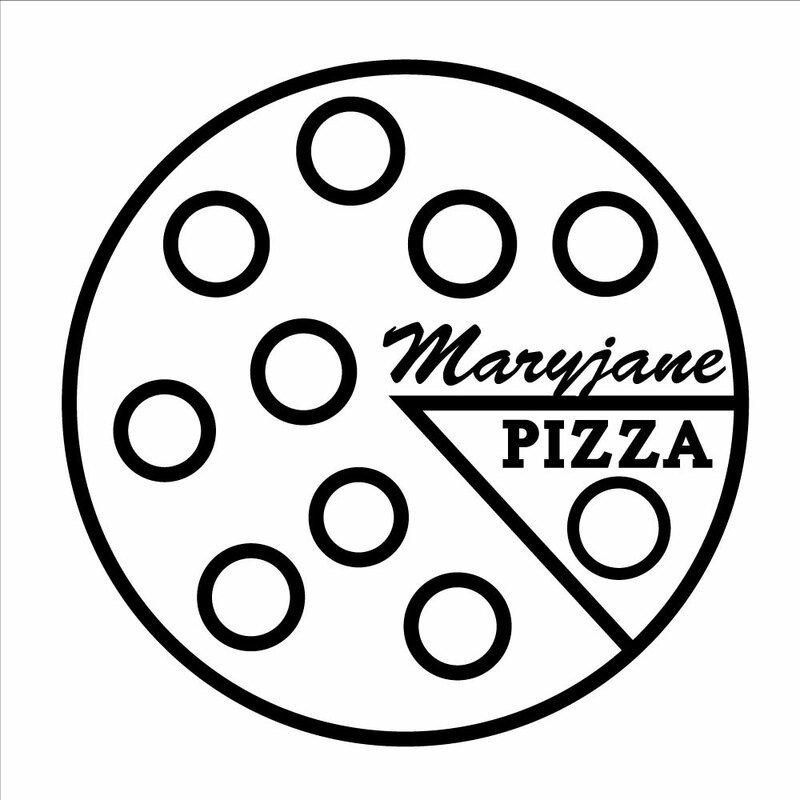 A Maryjane original; pizza mixed with an old-time campfire favorite. A chocolate and marshmallows smores covered pizza. Real mascarpone and coffe soaked ladyfigers with whipped cream.